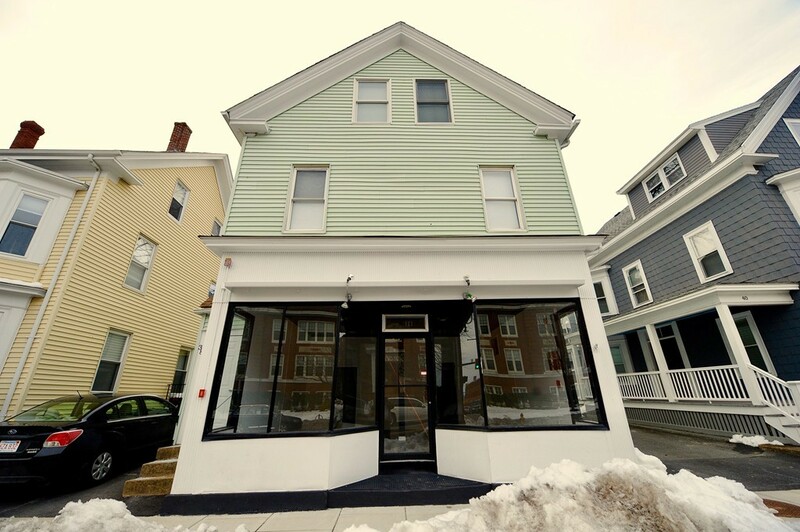 This storefront commercial condo on Rantoul street is centrally located in Beverly. Recently renovated interior with dark wood tile flooring and high ceiling. Located close to residential condominiums as well as many new businesses, the Train and the MBTA are near by. Become a business member on Rantoul Street close to downtown Beverly by owning this storefront. This unit is priced right and will not last. Schedule your private showing today. Being sold "As Is"